We all know that exercise is an important part of maintaining a healthy lifestyle. As you’d expect, this applies even to aging seniors. Whether you have a disability or not, you should regularly engage in physical exercise to receive both the physical and emotional benefits it brings forward. Exercise encourages healthy living just like a balanced diet does. 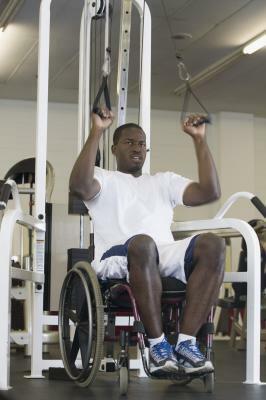 Exercise is recommended for all individuals regardless of age or disability. One of the best exercises you can do is swimming. Both non impact water aerobics and lap swimming are great workouts for the heart and lungs while being gentle on the joints. It’s very easy to adjust the level of strain to match your level of fitness which is why swimming is a highly recommended exercise for both seniors and disabled alike. Different strokes provide workouts for different muscles so make sure to try them all out to find which one you like best.